Follow BIRN’s reporters live for all the latest developments as the UN court in The Hague delivers its final verdict in the genocide and war crimes trial of former Bosnian Serb political leader Radovan Karadzic. The prosecutors’ call for Karadzic to be convicted of a wide variety of killings and other crimes which were committed along with the expulsion of Bosniaks and Croats in 20 municipalities was dismissed. Speaking about the first-instance verdict’s finding that Karadzic was not guilty for genocide in 1992, the appeals chamber said that the prosecution failed to prove this part of the verdict was not explained adequately. 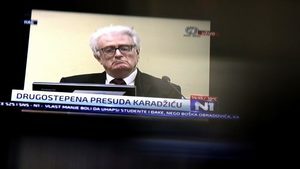 The chamber said that it is not convinced that the genocidal intent of Karadzic can be concluded from his connections to people on the ground. The rest of the 2016 verdict has been upheld. 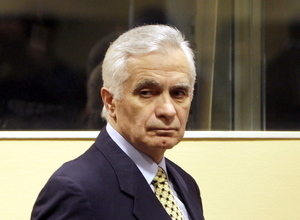 Considering the sentence, the appeals chamber said that Karadzic failed to prove there were mitigating circumstances. The appeals chamber agreed with the conclusion by the prosecutors that the gravity of the crimes is too much for a sentence of 40 years in prison, which Karadzic was given in 2016. The judge said that all the counts of the first-instance verdict have been confirmed, other than several incidents in the count relating to the 20 municipalities. The court has sentenced Radovan Karadzic to life in prison. BIRN reporters at the scene said that a cheer from the courtroom gallery was heard when the sentence was announced. Murat Tahirovic, president of the Victims and Witnesses of Genocide Association, welcomed the life sentence. "Total justice is not possible but it is satisfaction for the victims," Tahirovic told N1 TV. Nermin Niksic, president of the Social Democratic Party of Bosnia and Herzegovina, SDP BIH, also welcomed today's verdict. "Radovan Karadzic's final verdict is a major event for Bosnia and all its citizens, especially for the families of victims of aggression, genocide and other war crimes committed in Bosnia," Niksic told Klix.ba, a Sarajevo-based news site. Croatia's President Kolinda Grabar-Kitarovic described the verdict as the final ruling on the man responsible for trying to create a ‘Greater Serbia’. "The verdict cannot give back the lives of tens of thousands of victims and alleviate the pain of their families and survivors, but it must serve as a permanent warning," Grabar-Kitarovic told Croatian daily newspaper Vecernji List. The Youth Initiative for Human Rights, a Serbian NGO, said that Karadzic's verdict highlights Serbia's obligation to recognise the Srebrenica massacres as genocide. "Serbia, its institutions and officials must stop denying the Srebrenica genocide and relativising other war crimes in Bosnia and Herzegovina, finally adopt a declaration on the Srebrenica genocide and pay utmost respect to the victims of genocide and war crimes in Bosnia," the YIHR said in a press release. Bosnia’s Alliance for a Better Future, SBB party said that life in prison was the only adequate and justified sentence for Radovan Karadzic. "The monster will continue to live, but his victims and victims of genocide will never have the chance to continue their lives," the SBB, one of the strongest Bosniak parties, said in a press release. 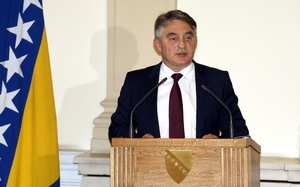 Zeljko Komsic, the Croat member of the Bosnian tripartite presidency, said that Karadzic's verdict was the minimum level of justice for the victims. "This verdict remains as a permanent written testimony and a lesson to generations to come that no crime will remain unpunished," Komsic said in a press release. Kosovo’s Foreign Minister Behgjet Pacolli welcomed the Karadzic sentence. “His genocidal politics and hate ideology is responsible for the war crimes perpetrated in Bosnia and Herzegovina. Our thoughts are with the families of the victims of his crimes in [Bosnia and Herzegovina] today,” Paccolli said in a post on Twitter. The head of the OSCE Mission to Bosnia, Bruce Berton, said that today's verdict was another key step towards bringing to justice the people most responsible for genocide and the other most serious war crimes in Bosnia. "First of all, our thoughts are with the families of victims, for whom the search for justice is long-lasting and painful. It is a complex and difficult process, but at the same time a process that is crucial," said Berton, Beta news agency reported. The Hague prosecutor’s office said it was "satisfied" with the Karadzic verdict. “This United Nations tribunal has convicted him for his crimes and sentenced him to life imprisonment, sending an important message that justice can prevail over evil. Today, the victims of his crimes finally saw him answer for what he did,” the prosecution said. 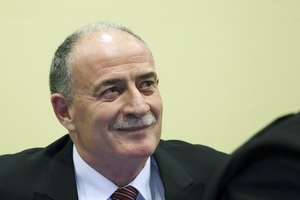 Chief prosecutor Serge Brammertz also noted that the verdict was not against the Serb people. “Karadzic’s guilt is his, not his community’s,” Brammertz said. The head of the main Bosnian Serb opposition party, the Serb Democratic Party, which Karadzic founded before the Bosnian war, condemned the verdict as “political, unfounded and scandalously unfair”, Beta news agency reported. 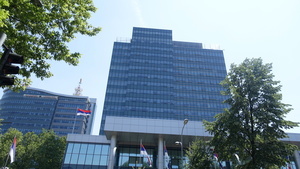 Party leader Vukota Govedarica called the Hague Tribunal "primarily a political institution”, Beta news agency reported, quoting the Srpska.info website. Govedarica said the Hague court’s main objective was “to continue the satanization of the Serbian people”. 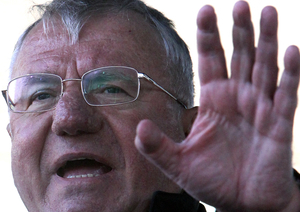 Serbian Radical Party leader Vojislav Seselj, who was also convicted of wartime crimes by the Hague court, described the life sentence as scandalous. “The verdict is based on false testimonies and imposed facts. It is obvious that the verdict was brought by incompetent people, people who do not have any moral qualities,” Seselj told Russian state news agency Tass. Momcilo Krajisnik, a former Bosnian Serb political leader and co-founder of the Serb Democratic Party, who was also convicted of crimes against humanity by the Hague court, said that Karadzic “never advocated crimes, never supported them, and never carried them out”. “They say that justice exists and is achievable, but everything indicates, when it comes to the Hague Tribunal, at least in our short life, it means nothing,” Krajisnik told Russian media outlet Sputnik. EU foreign affairs spokesperson Maja Kocijancic urged governments in the Balkans to accept the final judgment in the Karadzic trial. “The EU expects all leaders in the region to support the decisions of the international tribunals and to refrain from any statements or actions casting doubt on the independence or the impartiality of the adjudication process. 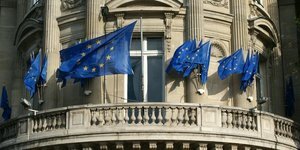 Denial or revisionism contradict the most fundamental European values,” Kocijancic said in a press release. Radovan Kovacevic, a spokesman for the Alliance of Independent Social Democrats, the party led by the Serb member of Bosnia’s tripartite presidency, Milorad Dodik, described the Hague Tribunal as “a political forgery”. Kovacevic told SRNA news agency that the Serbs were "the greatest victims of the break-up of Yugoslavia, from Slovenia to Kosovo, and they never received legal satisfaction". 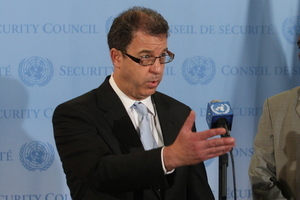 The parliamentary spokesperson in Bosnia’s Serb-dominated Republika Srpska entity, Nedeljko Cubrilovic, said that today’s verdict confirmed the conviction of people in Republika Srpska that the Hague Tribunal is “biased, selective and was established with the aim of proclaiming Serbs and their leaders the sole perpetrators of the civil war in Bosnia”. 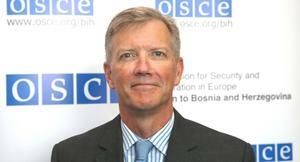 He added that the Tribunal hasn’t contributed to reconciliation in Bosnia, Beta news agency reported. The US embassy in Sarajevo welcomed today’s verdict and called for it to be accepted by all sides in Bosnia and Herzegovina. 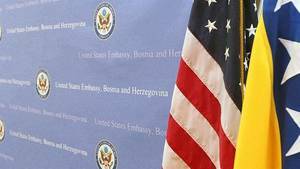 "We urge all parties to respect the court’s verdict, and rededicate themselves to the continued reconciliation and peaceful coexistence essential to the future of a stable, secure Bosnia that safeguards the rights of all its citizens," said a press release from the US embassy. 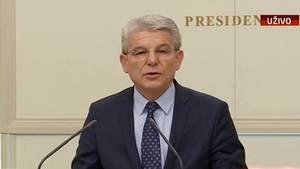 Sefik Dzaferovic, the Bosniak member of Bosnia’s tripartite presidency, said that the verdict was not a judgment on the Serb people but on former Serbian leader Slobodan Milosevic's plan to create a ‘Greater Serbia’. “A wartime criminal has received a well-deserved punishment and today victims of his crimes as well as the entire civilized world can be satisfied with the life sentence,” Dzaferovic said in a press release. Veselin Sljivancanin, a former Yugoslav People’s Army colonel and convicted war criminal, insisted that the Hague Tribunal continued to support only one side in Bosnia and Herzegovina instead of working for reconciliation. “I am not a lawyer nor an expert, but I believe that Karadzic and his family are brave people,” Sljivancanin told Serbian daily newspaper Politika. The director-general of the International Commission on Missing Persons, Kathryne Bomberger, said that convicting those responsible for war crimes is an essential element in upholding the rule of law. “Ensuring that governments fulfil their legal obligations to account for those who are missing as a result of these crimes and to secure the rights of all surviving families of the missing is an important element in the same process,” Bomberger said in a press release. Milorad Dodik, the Serb chair of the Bosnian tripartite presidency, criticised the UN tribunal’s verdict as biased. “Many in this area though, when the Hague Tribunal was set up, thought that it will bring trust, with the authority of those who established it. 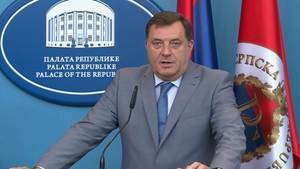 Over time, this was lost because this tribunal used a selective approach,” Dodik told reporters in Banja Luka. Following Radovan Karadzic's final verdict, the UN court spokesperson Helena Eggleston said that he will serve his life sentence outside of the region. The final verdict in Radovan Karadzic’s trial has yet again highlighted continuing ethnic divisions in post-war Bosnia and Herzegovina. The life sentence was welcomed by Bosniak and Croat politicians and war victims’ groups but condemned as biased by Bosnian Serb political leaders. That concludes BIRN’s live coverage of the final verdict in Radovan Karadzic’s trial in The Hague, which saw him sentenced to life imprisonment. We will be back tomorrow with fresh comment on the significance of the landmark judgment.